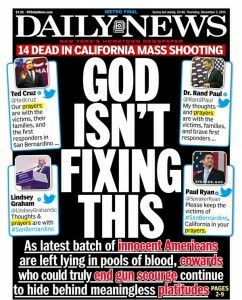 Dear Daily News, Have You ASKED God to Fix It? Of course it’s not the average American gun owner. With all due respect to my gun control friends. You do not go down to the neighborhood gun store to buy tactical gear, assault weapons and material to make pipe bombs. This was well planned and highly coordinated. It is an act of terrorism, pure and simple and I’m not afraid to call it that! As more facts are revealed, it’s looking like Barrett nailed it. They weren’t Methodists. California has some of the most restrictive gun laws in the country. Private sales must go through a licensed dealer and are recorded by the state. 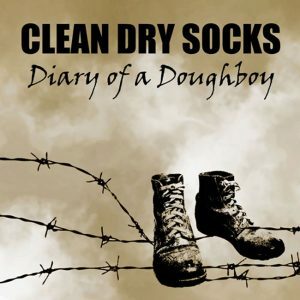 There is a ten day waiting period. Magazines that hold more than ten rounds of ammunition aren’t legal, nor is the possession of automatic firearms. Taking away guns from law abiding citizens just isn’t logical. The logic that tells us outlawing guns will decrease gun violence is the same logic that tells us outlawing abortions will increase abortions. And we know we’ve had such outstanding success in the wars on poverty and drugs. Look I’m not asking you to change your beliefs, but we can all tone down the rhetoric. You know, like the rhetoric that blamed all Christians for last week’s shooting in Colorado. Most pro-lifers and most Christians condemned the shooting. That’s not the rhetoric we heard most from the media. I’ll just wait right here for a second whilst you connect the dots. By the way, outside of the fact that he made that statement in Paris (get it yet? ), he’s also wrong. In terms of the frequency of attacks, the U.S. ranks ninth, with 0.09 attacks per million people. Macedonia, Serbia, Switzerland, Norway, Slovakia, Finland, Belgium and the Czech Republic all had higher rates. So, maybe the White House could tone down some rhetoric, too. But I don’t want to talk about gun control today. Okay, I just did, but that’s not my point. My point instead is the reaction of some of the left and in particular the media. It is hard to tell them apart sometimes, isn’t it? But their most violent, if you will, reactions were not to the shootings but to the Republican candidates and others who offered thoughts and prayers. 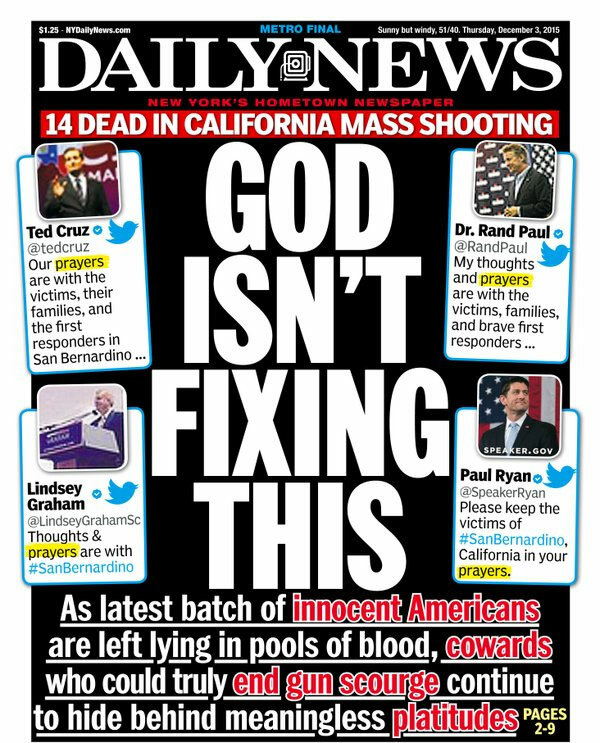 Seriously, the front page of the New York Daily News shouted GOD ISN’T FIXING THIS. Seriously, Daily News? Have you asked him? See this article in The Washington Post for more thoughts along the same line. How far we’ve come from the days following the attacks of 9/11 when our churches were full. No one was scoffing for calls to prayer in those days. Throughout our history our nation has always been a nation of prayer. I wrote this back in 2012. In 1952 a joint resolution by Congress, signed by President Truman, declared an annual, national day of prayer. In 1988, the law was amended and signed by President Reagan, permanently setting the day as the first Thursday of every May. Every year since that time, the President has issued a Proclamation of a National Day of Prayer. Every President, including Barack Obama, despite, rumors to the contrary. In view of the entrance of our nation into the vast and awful war which now afflicts the greater part of the world…I set apart…a day upon which our people should…offer concerted prayer to Almighty God for His divine aid in the success of our arms. After the landing at Normandy, Franklin D. Roosevelt lead the nation in prayer on June 6, 1944. In the hours and days following the attacks on 9/11/01, the nation’s places of worship were full as a heartbroken people sought comfort and answers. The faith of our nation is in our motto, it’s in our pledge it’s in our National Anthem. And whether or not we continue to exhibit that faith the history is undeniable. For over 230 years we have been a nation of prayer. Trouble in this world doesn’t mean that God isn’t in control or that he doesn’t care. It means that we’re a broken people and he wants to restore our relationship. Saying that we’re a nation of prayer doesn’t mean we are not also a nation of action. 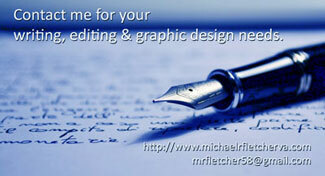 What that action may or may not be can be debated another day. But neither scoffing at those who pray, or being angry at those who scoff will get us anywhere. The Daily News headline got attention which it was designed to do. But it didn’t change anyone’s mind or make the least bit of real difference in the debate. Yes there is evil in this world and people who pray realize that. But just because there is evil doesn’t mean that God has turned his back on us. Quite the opposite. P.S. Vonette Bright, co-founder with Bill Bright of Campus Crusade for Christ is the person who is responsible for getting President Reagan to set the nearest date for National Day of Prayer, has begun her journey to see her dear husband in paradise. Last year’s National Day of Prayer was her last one from this earth bound vantage point. She joyfully received the news that her departure time is nigh. May we all be so inclined.